You are not logged in. 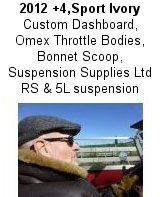 [Log In] Talk Morgan » Forums » Morgan Sports Cars » Maintenance & Servicing » Which gear knob? #571829 - 13/04/19 07:49 PM Which gear knob? I've a 1994 plus 4 (T16 engine) coupled, I think, to the standard Rover gear box. Its fitted with a polished wooden gear knob (with the incorrect pattern on top) which I want to swap for a polished alloy one, ideally with the correct pattern but plain would do, My question is when I search the usual Mog parts suppliers no one seems to list my configuration, other than the patterns or all the fitments the same and any will fit ? 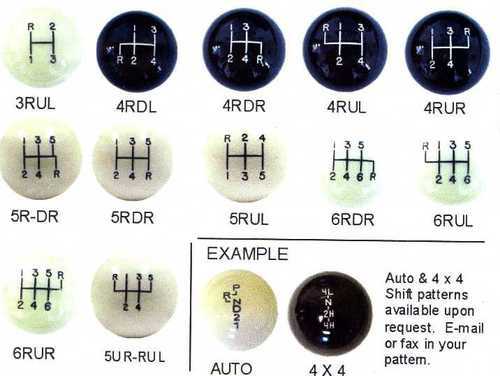 Morgan currently uses Richbrook gear knobs on the Mazda gearboxes. They supply knobs with a selection of gear pattern buttons that push into the top of the knob. I would imagine that they have, or can supply the correct button. You may need a sleeve ofer the end of the gearstick to bring it up to the correct diameter. This is how Morgan "adapts" the knob to the gearstick. You can buy directly from them. I have just replaced mine as the original got badly scratched from my metal watch strap each time I reached for the handbrake. I used a Richbrook polished alloy one as original. It came with a selection of gear patterns and 3 different sized sleeves for less than £30. Same as the VW Polo that has. It is a pattern that I hate because if the car is parked and left in reverse gear (a bad habit) visually the car seems to be in first. The result could be embarrassing! I have a spare white numerals on black background 5UR-RUL which came with it but doesn’t match mine. If you send me a PM, I’ll post it to you for the price of postage only or better still, once you have got yours we could do a straight swap? Its when you have several cars that dont get driven every day so its just useful to have a reminder where reverse is.